KOLHAPUR: The district primary education department has asked the parents involved in the lottery process of the Right To Education (RTE) admission process to confirm their wards’ admission by March 24. The first lottery of this season was organised on March 13. “Parents, whose wards have been selected in the lottery process, will get an SMS directly on their registered mobile number. Those candidates who did not get selected, even their parents will get the information through an SMS,” said the official. He added the selected parents will have to confirm their wards’ admission in a particular school by March 24. “While the department has received only 2,880 applications for admissions under the RTE quota, there are as many as 3,501 seats reserved for the eligible candidates in 347 schools across the city and the district,” said the official. The Right to Education Act 2009 mandates that all private unaided schools have to reserve 25% seats for the children from disadvantaged or economically weaker sections from the neighbourhood / ward. Their complete education is free and the admission happens only at LKG and class 1, unfortunately the people who can benefit from this are unaware of this or the procedure. 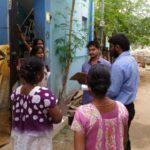 Bhumi Volunteers have successfully admitted 112 children via Right To Education in Districts like Chennai, Kanchipuram, Thiruvallur and Vellore. We’re spreading RTE awareness to other districts in Tamilnadu. Attend the RTE Online Webinar to initiate RTE awareness in your city. Attend the basic RTE training session, volunteer for Field Campaigns in slum areas and spread awareness to the poor people in slums and make a lasting poverty alleviating impact on their lives. Sign up right away in the form below and do invite your friends. 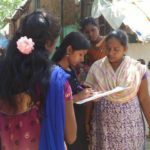 Bhumi Volunteers have successfully admitted 112 children via Right To Education in Districts like Chennai, Kanchipuram, Thiruvallur and Vellore. We’re spreading RTE awareness to other districts in Tamilnadu. Join the RTE team in Trichy. Sign up right away in the form below and do invite your friends in and around Trichy. Bhumi Volunteers have successfully admitted 112 children via Right To Education in Tamilnadu. We’re spreading RTE awareness to other parts of the country. Join the RTE team in Bengaluru. BENGALURU: Admissions to Right to Education (RTE) quota seats for the academic year 2018-19 will begin from February 20. According to the timetable scheduled by the state Department of Public Instructions, seat aspirants for the 25 per cent quota RTE seats can submit applications from February 20 to March 21. The first round of online lottery for seat selection will be held on April 6. Meanwhile, for the first time, the department has brought even aided schools under the ambit of the RTE Act. From 2018-19 academic year, even aided schools will have to reserve 25 per cent of seats under the RTE quota. Over 3,000 aided schools in the state will come under the RTE ambit and as a result over 15000 more seats will be added this year. Meanwhile, private unaided schools in the state are allowed to fill the 75 per cent of non-RTE seats only after May 30. For the first time since the Right to Education (RTE) Act was enforced, the State government has mandated that government-aided schools, apart from private schools, should reserve seats for students from socio-economic disadvantaged sections of society. This will see nearly 3,000 aided schools and over 18,000 additional seats coming within the ambit of the RTE Act, said officials of the Department of Public Instruction (DPI). There are currently over 1.28 lakh seats available in over 11,900 unaided schools. Until now, only unaided schools were reserving 25% of their seats for students from weaker sections and disadvantaged groups. These schools receive reimbursement based on the students they admit under the quota. According to Section 12 (1)(b) of the RTE Act, aided schools would have to provide free and compulsory elementary education to the children admitted based on the annual recurring aid or grants, subject to a minimum of 25%. However, aided schools will not receive any reimbursement for admitting the students. There is mixed response to this move. Some schools feel waiving fees for students under the quota may not work out for them financially as they charge nominal fees from other students. “By reserving some seats without reimbursement, we may not be able to meet infrastructural requirements,” said a management representative. However, for others there is a sense that at least through RTE quota, currently empty classrooms may get a fresh lease of life. “We are all Kannada-medium schools and are struggling to survive. We will admit students if they opt for seats through the RTE quota,” said a school representative. The DPI has announced the calender of events for RTE events, and parents can file online applications for their wards between February 20 and March 21. The first round of seats will be allotted on April 6. Private school have been asked to fill the remaining 75% of seats only after the three-rounds of RTE admissions are completed by May 30. However, private schools are unhappy with the move, and said they will defy the order. D. Shashi Kumar, general secretary, Associated Managements of Primary and Secondary Schools in Karnataka (KAMS) said there is always a delay in RTE admissions as seen over the past three years, and they cannot take a risk in admissions over the next academic year. 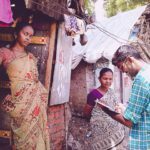 Volunteer for RTE Field Campaign across Chennai Slums and help underprivileged get admissions in Private Schools via Right to Education. The Right to Education Act 2009 mandates that all private unaided schools have to reserve 25% seats for the children from disadvantaged or economically weaker sections from the neighborhood. Their complete education is free and the admission happens only at class LKG until May 18, unfortunately the people who can benefit from this are unaware of this or the procedure. 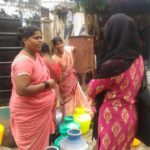 Join us to spread awareness in slums and make a lasting poverty alleviating impact on their lives. Our focus is to engage volunteers in creating awareness among such communities and helping them benefit from this life transforming opportunity. Please find the schedule below and Sign up to Volunteer. Invite your friends from the above areas. All are welcome.